Blessing Boxes Luncheon – Sunday after the service in the theater. Come share some food and learn more about this year’s blessing boxes initiative brought to you by Amigos of Mexico. Ultimate Lumberjack Games – Join us on September 30th for axe throwing, spear throwing and more. Teams of five will compete for prizes. Food and Beer provided by Fate. This is a fundraiser for Boulder County’s Reverence Movement. We’ve been in this series of Acts which has been really really wonderful. Isn’t it so good to be immersed in the word! 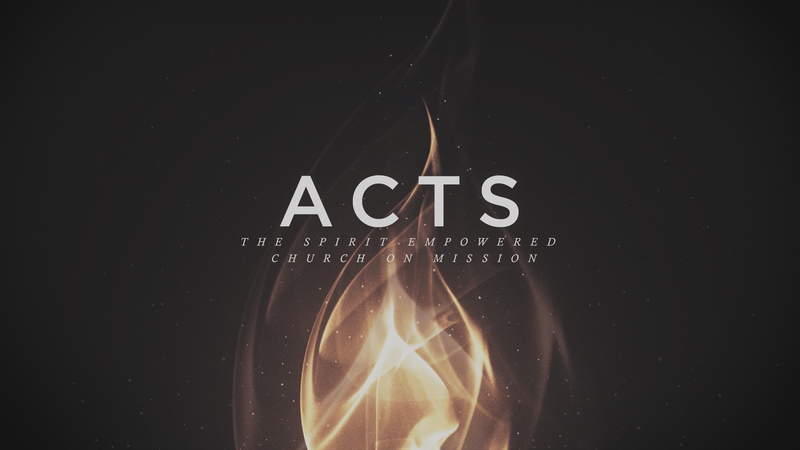 We learned about the Day of Pentecost, The Holy Spirit empowering people with spiritual gifts of tongues – not as a fancy “parlor trick” but so that each person could hear the Lord in their own language. There’s so much right there. The Lord speaks to us in our own language – our own body of experience. He just meets us where we are. The promise of ALL being able to receive the gift of the Holy Spirit. We read about the believers dwelling in such unity and caring for one another and the Lord adding thousand and thousands of people to the number of the believers as they ate their food with gladness and simplicity of heart. And that’s only chapters 1-2! Chapter 3 is so full and rich. There is so much to unpack here. In it, he has 3 points that are critical to really studying the Word of God. Example, it’s no accident that the very first person to know and carry the gospel message was a woman. That was significant for the time. How does this pertain to me. I would add a fourth that if you are not reading the Word of God with the Holy Spirit, your missing out on a depth of treasure. BAM!!!!! Glory to God – He has won the day! Amazing testimony, Sermon Over!!! Right? When planning this talk, it seemed obvious to me, in my initial fleshly effort that this is a wonderful opportunity for a pretty amazing healing focused Sunday. Just like when Jenny facilitated the Sunday of the baptism of the Holy Spirit, my first thought was, Let’s do that but with physical healing! That sounds so amazing! Now, I believe, I really do, that some amazing times of physical healing are coming and coming quickly. Vinelife has received so many words and impartations of this gift as well as a prophetic word that Fiona is carrying about the Delay being over. So It’s coming. I believe it is coming and coming soon – and I know that there are many in this room that desperately need healing. First though; I believe that Papa wants us to understand a truth before this comes. And that is Healing is Not the End Game. When reading scripture – which we must read in context – whenever people were healed either by Jesus or others, there was always an accompanying revelation and an unveiling of Jesus as the Christ. It was never just about the healing. THAT is the end game! The unveiling and revelation. That is what it is all about! It’s all about Him after all!! Right?? Understand, that healing, as wonderful and needed as it is, is not the end game, Jesus being revealed as the Son of God is the end game. A Healing without that revelation is woefully vacant. A prophecy without that revelation is woefully vacant. All that will remain is Love – and God is Love. All that will remain is fullness of the Trinity and us in the fullness of Him. Everything else will cease. We have so many wonderful testimonies of people being healed. These are wonderful miracles that are not to be diminished. But So often though, the story stops with the healing. The Lord heals out of his goodness and mercy and purpose. I think we so often get stopped at the goodness and mercy and forget about the purpose. I’m reminded of a story of way back when I was an EMT. There is a purpose to that healing that I need to continue pursuing and praying into. Understand, a healing is a gift, like a prophetic word. When you receive a prophetic word, you don’t just receive it and stop there. No, instead you steward that word, you pray in to it and see where you can agree with heaven and walk in the word. Likewise, When a healing happens, we don’t stop there. Lord be revealed in this, be glorified in this, let your purpose – your purpose beyond the glory of the healing be revealed! What about when the Lord doesn’t heal. We hope and pray and have faith, but He doesn’t “come through” what then. That just feels like a huge let down and disappointment. Where is the Lord at work there? Story of Ethan – A little over 15 years ago Sarah and I were blessed with a child after going through 2 years of infertility. Once we conceived and Sarah gave birth we were beyond thankful and so excited. As all new parents experience, there are times when your little guy gets sick. This happened a few times. I remember several times when Ethan was really sick, high fever throwing up the whole 9 yards. The poor kid was burning up and miserable. Man, I remember vividly – praying desperately for my little guy to get better and nothing happened. Where is the Lord at work there? I had NO idea for years, until while ruminating on that, the Lord showed me what was going on – and it was around trust. I prayed, Lord and you didn’t heal him. I prayed in Your name! and you were absent! Ultimately what was revealed to me was that I was praying so hard for healing because I didn’t trust God with my children. Had Ethan been instantly healed in that moment, I would not have come to the place, the realization that I didn’t trust the Lord. The good new is that while that can seem like a low and dire confession and realization –the Lord knew it anyway! He was getting me to see it. And while that feels like a low low place, admitting you don’t trust the Lord, He rejoices in that awakening – He knew it all along anyway, because now He can do something about it! See, the Lord is always at work. Always. So whether someone is healed or not, healing is not the end game! The Lord is always at work in the deepest places. And, thankfully, we have a God that still heals, whose goodness is from everlasting to everlasting. A Lord who is full of compassion, who knows our frame and our needs who is always at work – in the deepest places, even beyond and deeper than our physical needs – yet he sees our physical needs and has compassion. Understand, that is not the end game, the revelation of Jesus as the Chris is the end game. There will come a day, as we read about in 1 corinthians where in the fullness of God everything will cease. So if your focus is more on your specific ministry than the revelation of Christ, you might feel loss when that day comes and it’s all done away with. Vs 13 Peter now has a choice to enter in to the “danger zone”. To step out of safety – to step out of the boat. Vs 19 HUUUUGE Call Out!! But – he doesn’t leave them in that place. He offers the words of life. Healing is not the End Game – The revealing and the unveiling of Jesus as the Christ is the end game. Peter had a choice to stop where it was safe (The God of Abraham, Isaac and Jacob) but he chose to continue to profess Jesus as the messiah. This ultimately and immediately led to his and John’s arrest.